Today is a washing day for Snow White! Our cute princess decided to wash all her dirty clothes. Help Snow White to wash all her clothes and do it properly. Make sure, you have separated the white clothes from the colored one's. Otherwise, you will spoil the clothes. Have fun while washing clothes with Snow White! 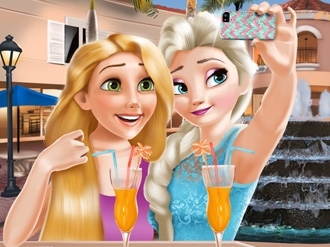 Are you ready to spend some girly time with the two princesses? They decided to go out today and they are hoping to take the perfect selfie. Get your fashion skills ready and join them in this new dress up game. Look for the fanciest clothes and accessories. Colorful dresses, precious necklaces, glittery shoes...there are so many items. Use them to make the princesses look stunning. Take your time! 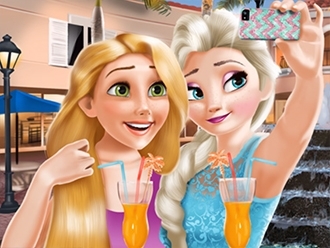 You can even pick new hairstyles and a sparkly phone case. 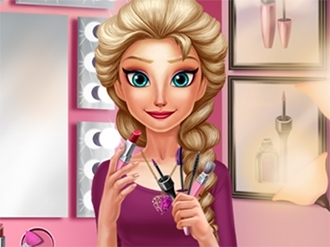 Explore all the things you can do and make sure the princesses look amazing! The beautiful queen is going to a fabulous event today and she needs to look flawless. Join her in this new game and help her out! Enter the makeup room and you will be impressed with all of the products the queen owns. Play around with glossy lipstick and glittery eye shadow colors. Once her face looks perfect, it is time to do her hair and dress her up. Use your fashion skills to mix and match the clothes and create the perfect outfit. Add some elegant accessories and the ice queen will surely turn heads wherever she goes! 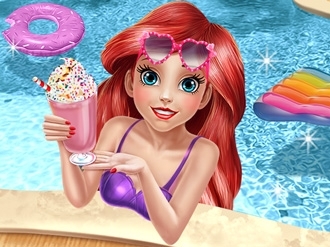 Join the mermaid princess and be prepared to have some fun at the pool! The princess is planning to spend the entire day there and she needs to look good. Together you can find the perfect outfit for a day at the pool. There are so many options. Take a look at all the items and get creative. Make sure to find the prettiest combination. Flip flops, cute hats, refreshing drinks and girly bathing suits. Pick the cutest items and enjoy your time with the princess. Impress her with your fashion skills! 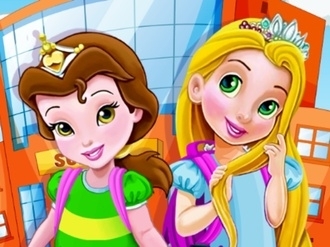 Wake up early and help Rapunzel and Belle with this Disney school game in which you will have to get them both ready for another day spent studying. Make their backpacks and smoothies before dressing them up. Shooting game Epic Time Pirates is free on www.bestgames.pk. You are a captain leading crews to protect the ship from enemies. Move around with the arrows. Follow the button with an exclamation. Press the space bar to get interaction with other characters and objectives. When you reach the button with the exclamation, choose the mode to start the battle. Your crew will fight for you automatically. You can target with the mouse and shoot with left click. Defense your ship!